Ah, I wanted publish this last Dec, but it was delayed so long because of moving and repeated frogging! 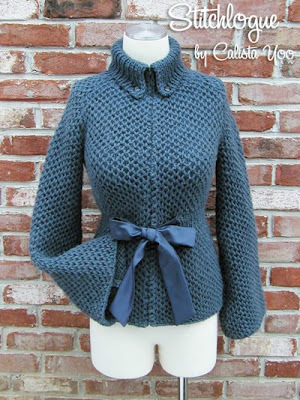 Because it is a simple style, the silhouette and the right fit was very important to make it flattering on a female body, but finding the right fit required so many frogging and re-knitting. I sewed hook&I tapes along the front opening, so that I can either close or open as much as I want. 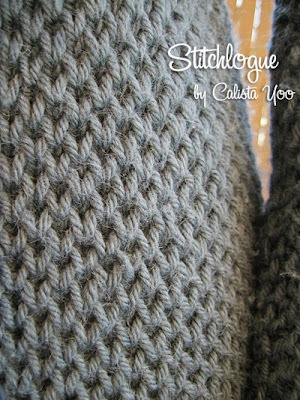 Because the honeycomb stitch creates a thick fabric, it's really warm and comfortable to wear it now. 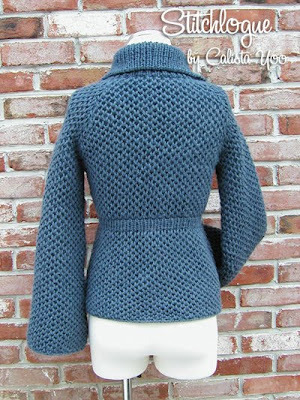 I used 9 skeins of Knitpicks Cadena that I had in my stash and am happy about the result! 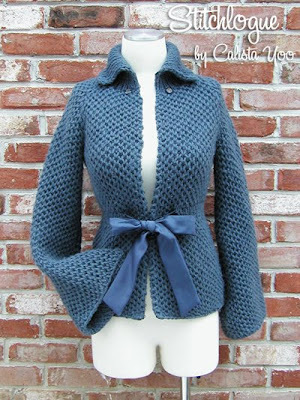 The pattern is on my Etsy shop (stitchlogue.etsy.com) or Ravelry (http://www.ravelry.com/patterns/library/brioche-honeycomb-jacket). SOOOOOOOOOO Cute!!!! Gonna have to go on my To-do list for when I'm caught up with everything. Great job, Calista!!! Thank you, Carli! How have you been?